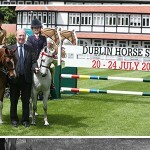 The Royal Ulster Agricultural Society (RUAS) today launched the 149th Balmoral Show in partnership with Ulster Bank. This year’s Show will provide an exciting mix of food, farming excellence and showmanship alongside an exhilarating entertainment schedule from 10th – 13th May 2017. 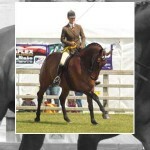 With many new additions to the Show, news of a fourth day is proving the most highly anticipated development. 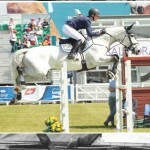 Rhonda Geary, RUAS Operations Director commented “We are very excited to bring our amazing Show offering to a fourth day, on a Saturday, which has been called for, for many years. The four days of the Show will include all that is brilliant about Balmoral, grassroots agriculture alongside a mix of shopping, entertainment and attractions. 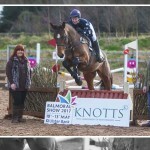 We are delighted to see a marked increase in many livestock sectors including equine and beef, and are looking forward to a full house in May competing for prestigious Balmoral titles”. 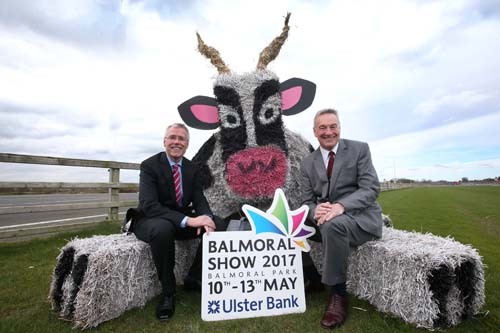 Richard Donnan, Head of Northern Ireland, Ulster Bank, said at the launch “As we mark our 9th year as principal sponsor of the Balmoral Show, Ulster Bank is proud of its continued partnership with one of the biggest events in Northern Ireland’s calendar. The Balmoral Show gives us the perfect platform to showcase our support for the agri-food industry and we want to let farmers and producers know that our expert teams are here to provide them with real and meaningful help for what matters as they continue to manage risk and seek out new opportunities. While the Year of Food and Drink has passed, its legacy remains and food is top of the agenda at the Show. The NI Food Pavilion will showcase over 100 local producers with 50 chefs cooking up a storm over the four days. 2017 will see the introduction of a new Health and Fitness Village which will appeal to gym buffs and outdoor adventurers alike. A superb family day is on offer as food and fitness are served alongside farming, a jam packed entertainment programme and attractions. There will be live robotic milking served up alongside the SPAR Arena which offers a dedicated area for fun family entertainment. The Agri Pavilion provides a platform for businesses, where networking and business will be rife over the four days, complemented by impressive outdoor machinery trade stands. Audiences around the Main Arena will be captivated by the Kangaroo Kid and his tantalising motorcycle display which will have Show goers watching through their fingers in anticipation. However if you prefer to indulge in retail therapy the Eikon Shopping Village is perfect for spending an afternoon browsing the goodies on offer. The Downtown Radio Show Stage provides a platform for emerging and established local acts to take to the mike and provide musical entertainment. Animals are also aplenty from prize winning stock and International Show jumpers to the cute and cuddly inhabitants in the Children’s Farm and the Rare Breed Survival Trust stand. The Young Farmer’s Clubs of Ulster make a return as they encapsulate the energy and enthusiasm of the Show in their various activities from Tug of War to Tractor Handling. The Healthy Horticulture Area at this year’s Balmoral Show will be a crowning glory. A revision of the Garden Village, the area has increased in size and scope. There will be a polytunnel with growing displays of fruit, vegetable and herbs as well as the Horticulture Forum’s ‘Grow Marquee’, housing local growers of apples, strawberries, mushrooms and cut flowers. The Mighty Spud campaign will be in attendance bringing with them their Couch Potato chill out area as well as sampling freshly cooked produce. Greenmount College students will be planting a number of displays throughout the event and award winning former student Jonathan Gill will be building a feature show garden. Ulster in Bloom will also be creating a floral display giving visitors a sneak peak of some of the colourful exhibits ahead of this year’s competition. The area will also feature displays of sports turfs, garden design, school gardens, scarecrows, miniature gardens, YFCU floral art and the RSPB, Ulster Wildlife and Ulster Bee Keepers will be in attendance. The Balmoral Park Wildlife Area will also be available to view with its wildflowers and bird boxes providing a tranquil natural area away from the bustle of the Show. Rhonda concluded saying “We are indebted to our sponsors especially our over arching sponsor Ulster Bank and our five platinum sponsors Lidl, M&S, SPAR, Tesco and ABP.” She also commented that use of public transport was advisable and informed Show goers that details can be found on the Translink website. 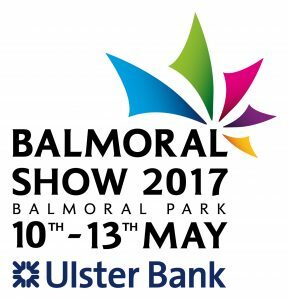 Balmoral Show in partnership with Ulster Bank takes place at Balmoral Park, Lisburn between Wednesday 10th and Saturday 13th May 2017. Opening times are 9.30am – 6pm (Wed, Fri and Sat) and 9.30am – 8.00pm (Thurs). Admission charges range from £2 to £18 with discounted early bird rates available on our website. Children under 5 years are free when accompanied by an adult. 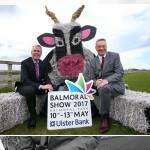 To keep up to date with the new four day 2017 Balmoral Show, check out our website balmoralshow.co.uk, Facebook: Balmoral Show and Twitter: @balmoralshow.